Shoojit Sircar directs Varun Dhawan and Banita Sandhu in October. Juhi Chaturvedi, who wrote Sircar’s Vicky Donor, pens the story, screenplay and the dialogues. Vicky Donor broke new ground tackling a taboo subject but I think October might be the writer-director duo’s most ambitious project yet. 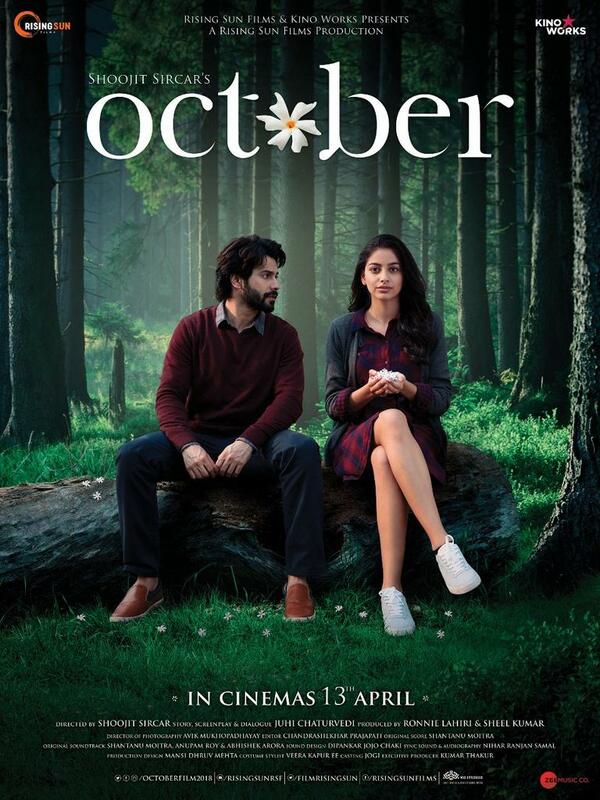 October is the story of Dan played by Varun Dhawan and his group of friends who work as the staff in a swanky hotel in Delhi as part of their hotel management course. Dan isn’t the brightest bulb in the bunch, his juniors overtake him and his nonchalant behaviour has him being relegated to the menial tasks of cleaning and laundry. Among the juniors, who have overtaken Dan, is newcomer Banita Sandhu who plays Shiuli. A tragic accident and a casual question just prior to the accident leaves Dan wondering why Shiuli was asking about him. Dan abandons every aspect of his personal life and devotes every free minute to Shiuli who is rendered incapable of responding. Devolving any more of the story would not do the story any great harm but if the trailer is the only thing you are going by, like I did, the slow reveal will have a more lasting effect. Sircar and Chaturvedi have crafted the movie in an almost Indie-film vein, not something you see prominent commercial directors and actors be a part of in Bollywood. This could have just as easily been a Sundance film festival darling. 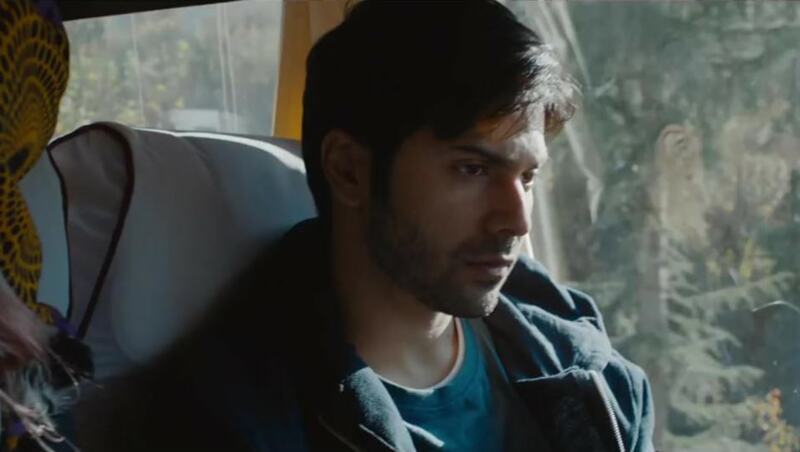 While the bravery of Sircar-Chaturvedi is second to none, Varun Dhawan continues to defy expectations and pulls further away from the pack of young actors. Dhawan, who first burst onto screen in Karan Johar’s frothy yet delightful high-school drama Student of the Year, has gone on to deliver incredibly nuanced performance in Badlapur and cemented his commercial appeal in Humpty Sharma ki Dulhaniya, Badrinath ki Dulhaniya and Judwaa2. In my book Dhawan hasn’t put a foot down wrong. Every time he is on screen, he lights its up with his honesty and unintentional humour. Here, too, you believe him every time he chimes in when not required and urges Shiuli’s mother to give her time to recover. You feel his pain when he finds out that before the accident Shiuli had asked about him. He is extremely easy to watch on screen and every emotion he embodies effortlessly. Dhawan achieves something improbable in that he is at once part of the scenery and yet he stands out even without trying. His scenes with the hospital guard, the nurse and the scenes with his friends are all absolutely incredible. This does not feel like a star vehicle but like a debut of a staggeringly gifted actor. He may have flexed his six-packs in almost every other movie but here he really gets to flex his acting muscle and when he does it it’s a thing of beauty. Avik Mukhopadhyay uses his lenses to capture every scene in the most unobtrusive of ways. 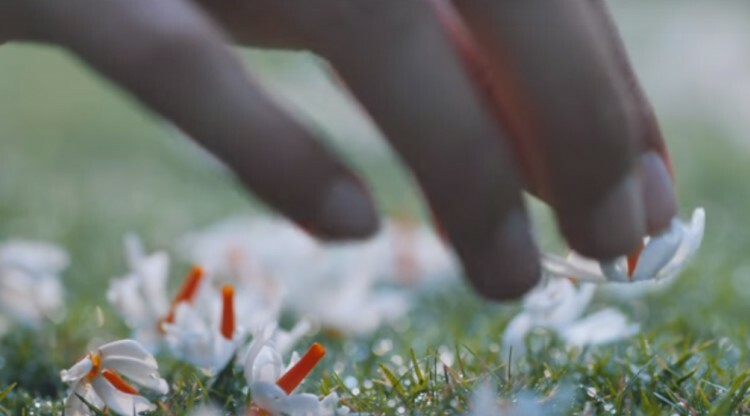 There is a melancholy to the way he frames each scene yet there is a beauty to it as well. His close-ups of Shiuli are splendid. The editing by Chandrashekhar Prajapati is exquisite, the pace never once slackens nor does any moment feel rushed. The fantastic script and the very competent direction would have been rendered unintelligible in the hands of a lesser editor. The slow burn narrative, the focus on the human interactions and the humanity of its subjects rather than the story itself, the no-rush story telling are all brilliantly tender and organic. The reason why I said that this movie feels their most ambitious is because it feels free of any commercial compulsions. Every film with a reasonably well known actor/director is only measured by one parameter these days – how quickly does it reach the 100-cr mark? This film is the furthest thing from it, but because of it, this might be the most poignant and original film of the year and dare I say almost 4 months into the year perhaps one of the best of the year.